Hi everyone!! Just a quickie post right now, because I have had so much going on!! But, I wanted to share my last card using the June release from WPlus9 called "Pile it On". It has been a super great week, and I hope that you have enjoyed all the posts so far!! 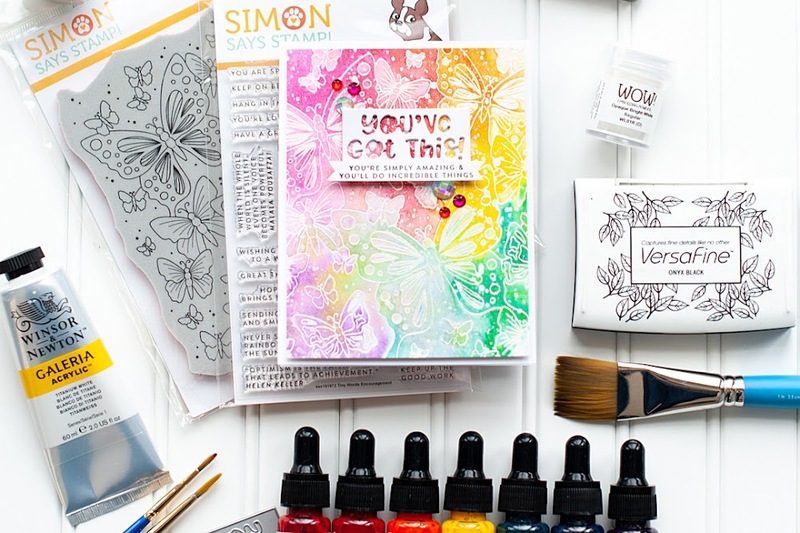 Be sure to head on over to the WPlus9 store and pick up this fabulous stamp set and matching dies!! Without further ado....here is my card for the group post tonight!! Be sure to check out what the rest of the amazing WPlus9 designers have created as well...I know I can't wait!! Hi there everyone!! Welcome to day 2 of the WPlus9 June 2011 release of the latest set called "Pile It On"! Yesterday I went completely clean & simple for you...showcasing the matching dies for this set, and how you can use them with felt. 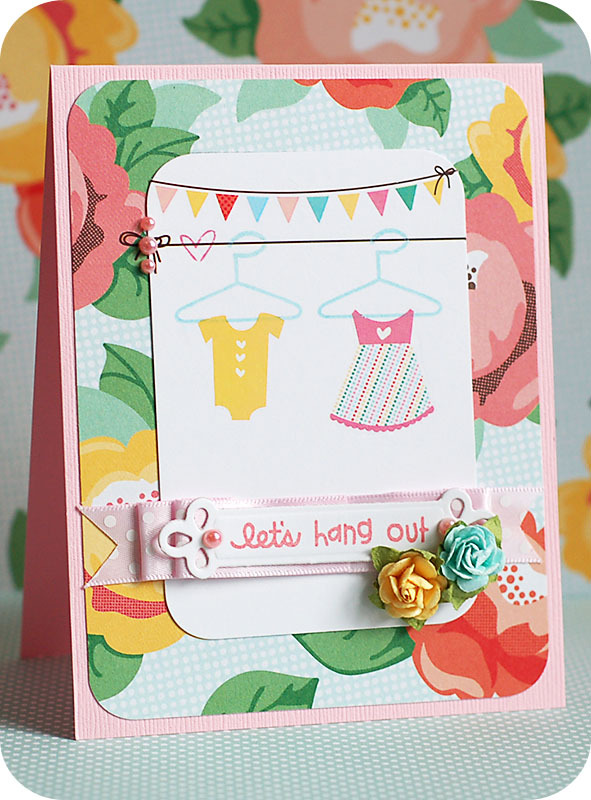 Today I have created a card that is on the shabby chic side, and completely different from the card I created yesterday. This set can work for any and all card styles out there, and I love that about it! I used the Viva la Verve! May 2011 sketch #4 to help with the design of my card, swapping out the oval for a rectangle. I also used CR84FN29 (light plum, plum, kraft) for my card, although I am a little late on it, and it won't get to be added to the link list. Nevertheless, the color combo was perfect for what I wanted! And lastly, it also fits Just Add Ink #69, to use fussy cutting (which I did on the butterfly accent). Here is what I created!! Instructions: Fold vintage cream cardstock in half to make card base, and ink the edges. Cut eggplant paper slightly smaller, ink the edges, and adhere to the card front. Ink the edges of a violet paper block, layer on top, and then adhere lace around the middle. Stamp the sentiment to the lower left corner of the violet block. Ink the edges of a parchment paper block, and then stamp the cake to it. Accent the cake with pearls, and adhere the stamped block to the card. Frame the cake with a chipboard piece, add a purple dotted bow to the lower right corner and accent the middle of it with paper flowers. Fussy cut a butterfly from patterned paper, adhere to the opposite corner, and accent the middle with pearls. Cover chipboard photo corners with glitter, and adhere to opposite corners. 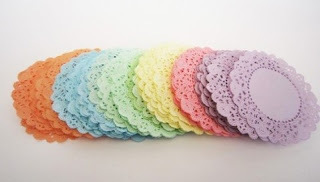 Accent each one with a purple jewel to finish. Did you notice that I combined this set with another WPlus9 stamp set? The sentiments that come with Pile It On are super cute, but I needed something a bit more elegant. So, I combined the cake layers from Pile It On with sentiments from Filigreed Frames...and they went together perfectly! When I was creating this, my initial meaning for it was as a wedding card. Looking at it, it could also be an elegant birthday card. I know all the women in my family would love to receive it, as well as people I know that are getting married. I just love when you create something that has many purposes!! Instructions: Fold white cardstock in half to make card base, and round the bottom corners. Diecut the ice cream cone shapes from white cardstock, and from three different colored felts. Stamp the cone to each diecut. Cut the felt tops off, adhere above the stamped cones, and then top each one with a clear jewel. 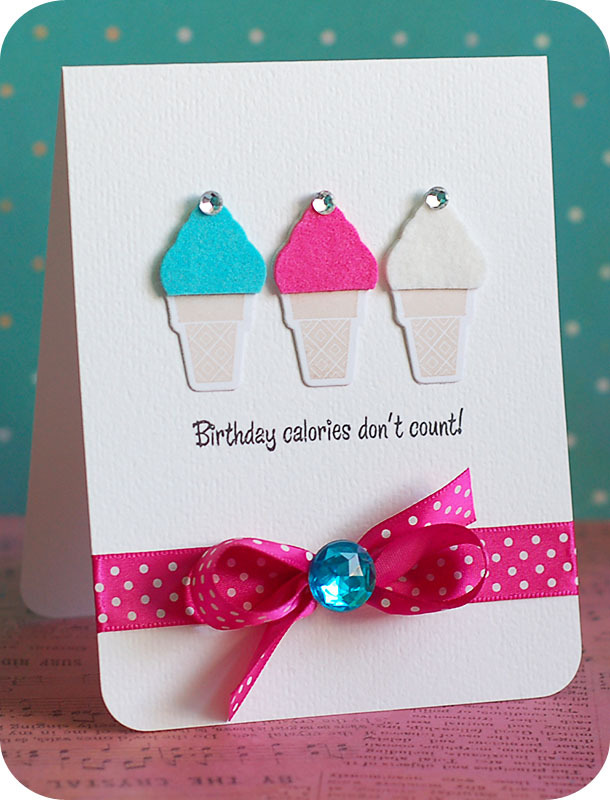 Adhere the ice cream cones to the card, and then stamp the sentiment directly below them. Tie ribbon around the bottom of the card, and accent the middle of the bow with a large aqua jewel. Happy Wednesday, everyone! Well, as you are reading this...I just had an amazing night at the U2 concert in Salt Lake City, and we will be on our way back home shortly. It was a super quick trip down here, but totally worth it to see a band like U2. Today Stamper's Dream and JustRite are hooking up for a fabulous blog hop! It is sure to be full of inspiration and amazing projects....so let's get started! I created this card using a couple of different sets from JustRite. 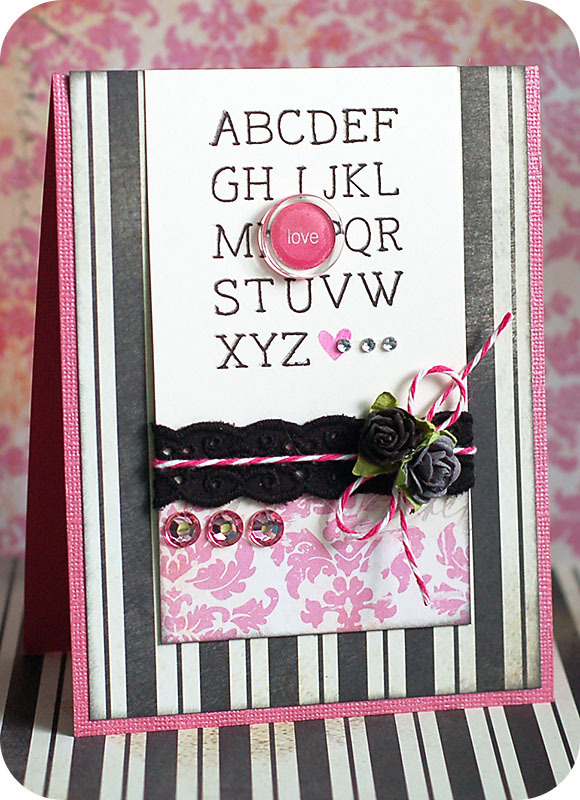 I LOVE that you can mix and match there stamps so perfectly...it makes them extremely versatile! Here is what I created! JustRite Stampers will be giving away three prizes to random commentors, so be sure to leave some love at each blog as you hop along. 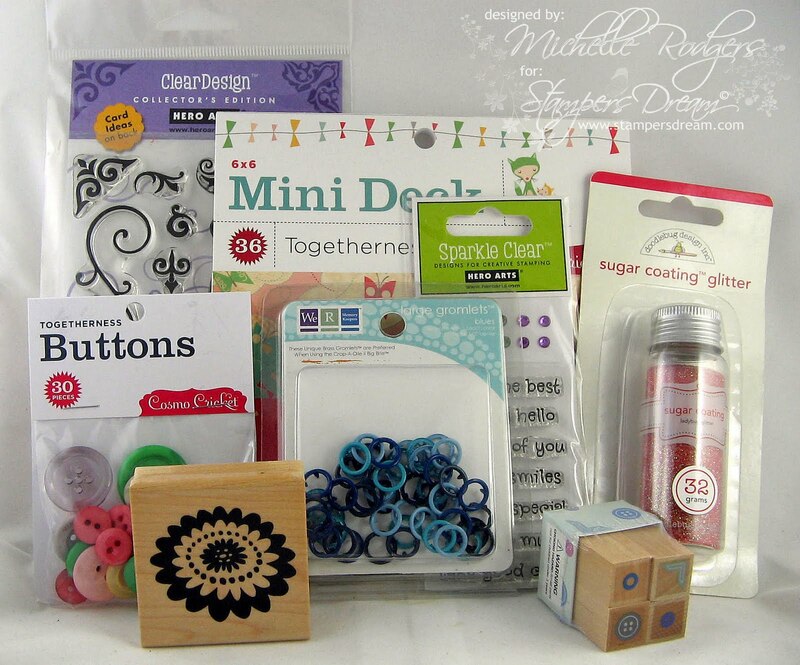 And Michelle, the owner of Stamper's Dream, is offering up this fabulous prize to one lucky winning comment! You never know where the winning comments will be picked from!! And here is a list of the blog hop participants! I know that I can't wait to get home tonight and check out what everyone came up with!! Happy Sunday, everyone! Today I have a cute little mini card to share with you. It measures 3"x4 1/2", and was another idea I had during Lawn Fawn release week! I didn't have time to get a second card done for my post, but finally had a chance to get it created!! Instructions: Fold yellow cardstock in half to make card base. Round the top corners of a cream cardstock block, tie twine around the top, and adhere to the front. Adhere the pink dotted label cut to the left side of the card, and cut off the excess. Add the square of jewels over top of it. Stamp the tickets to cream cardstock, cut out, and layer together inside the jeweled square & dotted label. Stamp the cotton candy to kraft & pink cardstock, then cut out. Glitter the pink section, layer together, and adhere to the card. Add a yellow paper flower to the ticket corner to finish. Happy Saturday, everyone!! 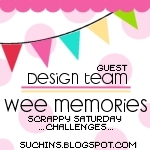 Today is my third week as a guest designer for Wee Memories Challenges!! 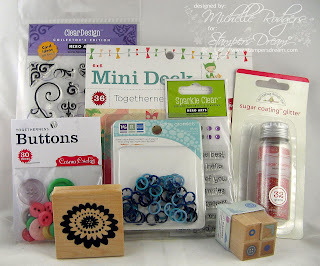 Today's challenge #56 is called "Stamp It"...and you guessed it- it is all about stamping!! Hey there, everyone!! 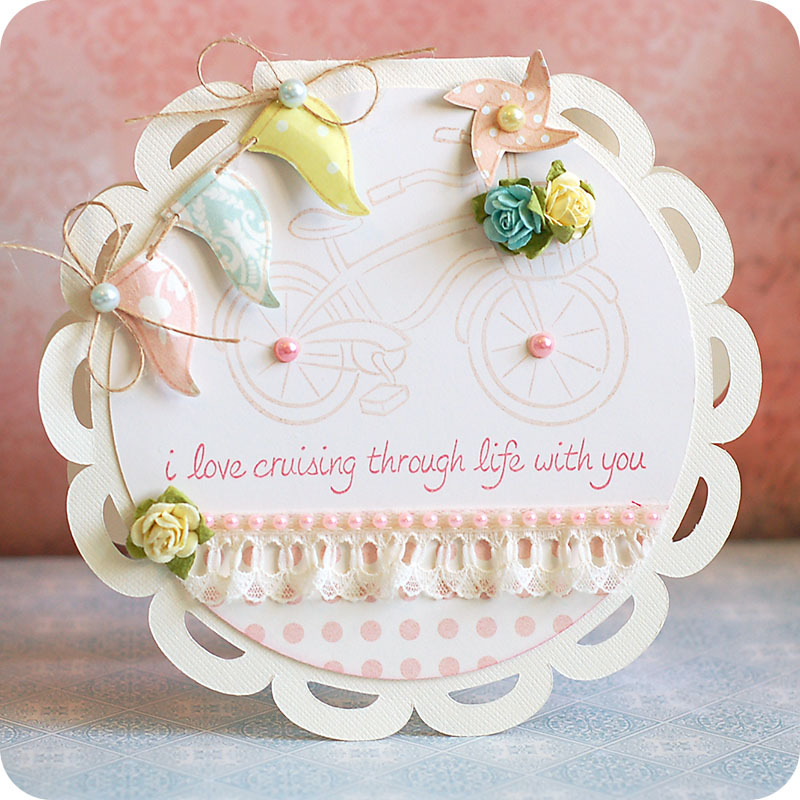 Tonight we are sharing with you the set that is my very favorite from this inspiration week, "Cruising Through Life". 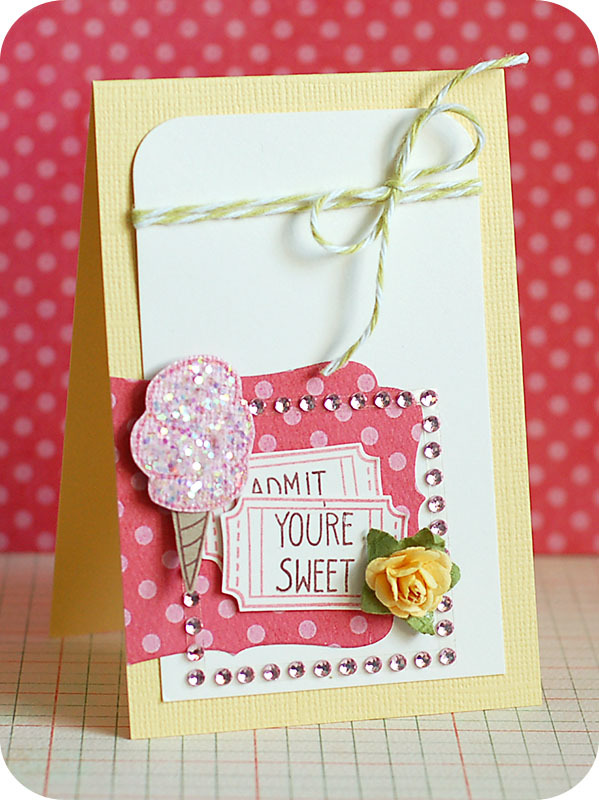 You are going to just love the fun and whimsical images & sentiments in this set!! It is fabulous! I used CardPatterns Sketch #115 to help out with the design of my card, and I just flipped the banner to the other side to make it work for me! I also created this for this week's Moxie Fab Tuesday Trigger: Some Royal Fun, where I was inspired by the fun banner flags & the pink/blue color combo...I just happened to add in a bit of yellow to mine. 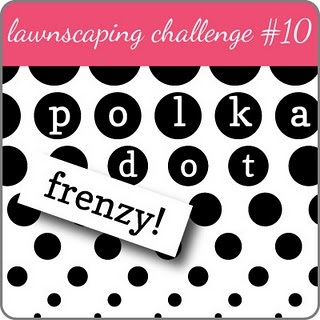 I also created this for Lawnscaping Challenge #10, to use polka dots. Here is my card! Instructions: Load a 12x12 cream cardstock sheet into a Cricut Expression, press the "Fit to Page" option and cut the scalloped shaped card (5 3/4") using the Wild Cards cartridge. Load a block of smooth vintage cream cardstock, and cut a circle at 5 1/4" using the Plantin Schoolbook cartridge. Cover a portion of the bottom of the circle with pink dotted paper and adhere to the middle of the scalloped card. Stamp the sentiment, bike and pinwheel stick to the top half of the card. Add a strip of lace trim to the bottom, and accent with a pink pearl strip and yellow paper flower. 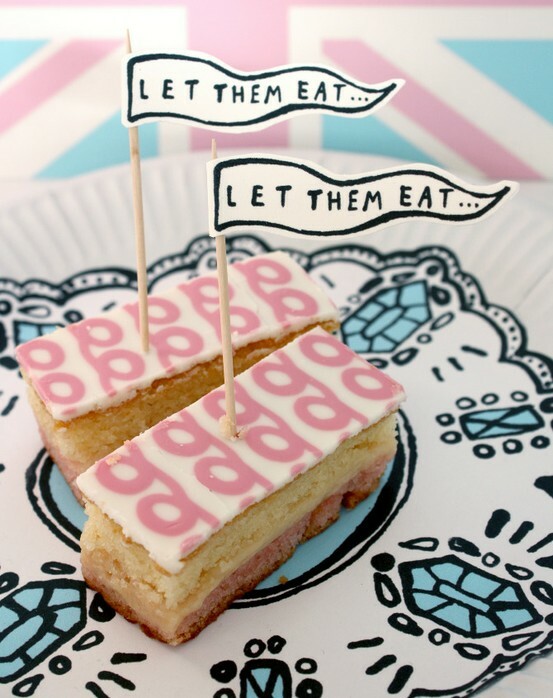 Stamp the pinwheel to small pink dotted paper, cut out, and adhere to the top of the stamped stick. Add two paper flowers to the bike's basket, and accent the middle of the pinwheel with a pearl. Stamp the banners to patterned paper, cut out and thread onto natural twine. Adhere to the left side of the card, add two twine bows to each end, and accent with pearls. Accent the bike's wheel middles with pearls to finish. I am super excited to see what all the other Lawn Fawn designer's have created with this set, so be sure and check them out as well!! P.S. Here are the challenge inspiration photos! Hi there, all!! Tonight I have another new Lawn Fawn stamp set to share with you called "Bon Voyage"! As you can tell....it is a travel themed set! I have paired it with a sentiment created from the already released "Say Cheese, Too" set, and it worked perfectly together!! That is one of the great things about most of the Lawn Fawn sets...you can mix and match them very easily!! Lawn Fawn is also sponsoring the CPS blog this week! So of course, I created my card for CPS Sketch #218 using these fabulous new stamps!! Here is what I created! Instructions: Fold white cardstock in half to make card base. Round the corners of a slightly smaller blue paper block, and adhere to the front. Cut a strip of brown dot paper, and adhere to the left side of the card. Accent the top with a pearl brad, and then adhere the green felt flag to it. Cut the neighborhood shape out from patterned paper, and adhere to the bottom using foam adhesive. Stamp the cloud to white cardstock, cut out and adhere to the front. Stamp the plane to a diecut label and cut out. Stamp the nose of the plane to orange paper, cut out and layer. Stamp the engines to white paper, cut out, adhere, and color in with a gray pen. Adhere the plane to the front using foam adhesive. 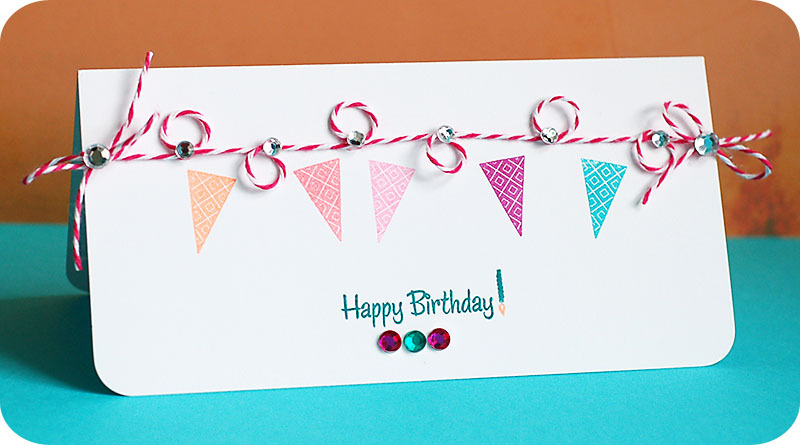 Stamp the sentiment to a white cardstock strip, cut a banner end to it, and then give it a curve. Add a strip of twine coming from behind the plane, and then adhere the sentiment flag to it. Tie a bow from twine and adhere to the left side of the sentiment banner. Accent the middle with a brown pearl to finish. I wanted to show that this set could be used for more than just a travel theme. I think it is pretty perfect for a boy themed card as well!! There are tons of other possibilities, and it will be fun to see what all the other design team gals have come up with as well!! Be sure to check them out too! Hi there, everyone! 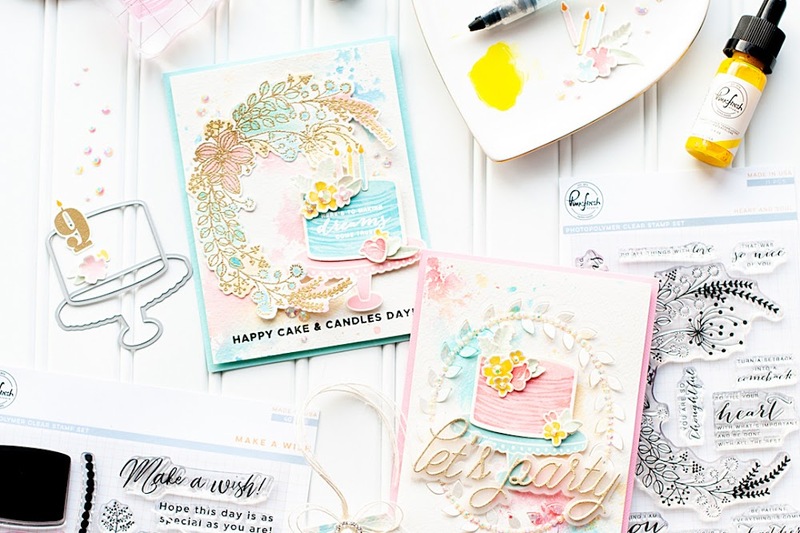 Tonight starts off your May inspiration week for Lawn Fawn's latest stamp sets, and the countdown to our big summer release! Lawn Fawn has decided to change things up a bit, and release all 9 new summer sets on May 19th! But don't worry...we will still have inspiration weeks every month with the chance to win the latest releases and gain inspiration from all of the design team members! But one big release date means you can get your favorite Lawn Fawn stamps right away....no time having to wait & anticipate! 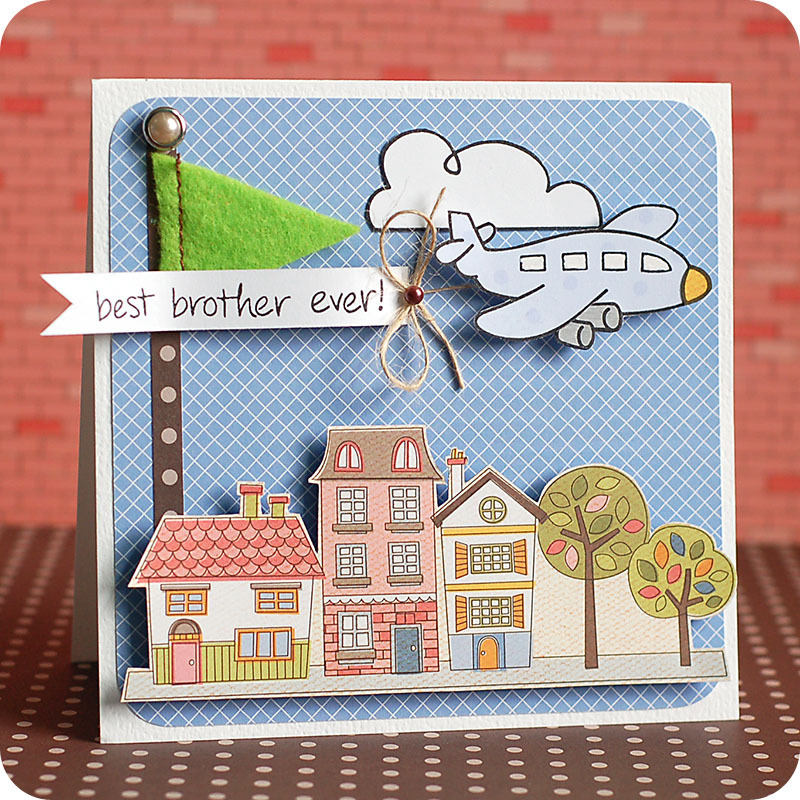 Today we are sharing a new stamp set called "Admit One" with you. 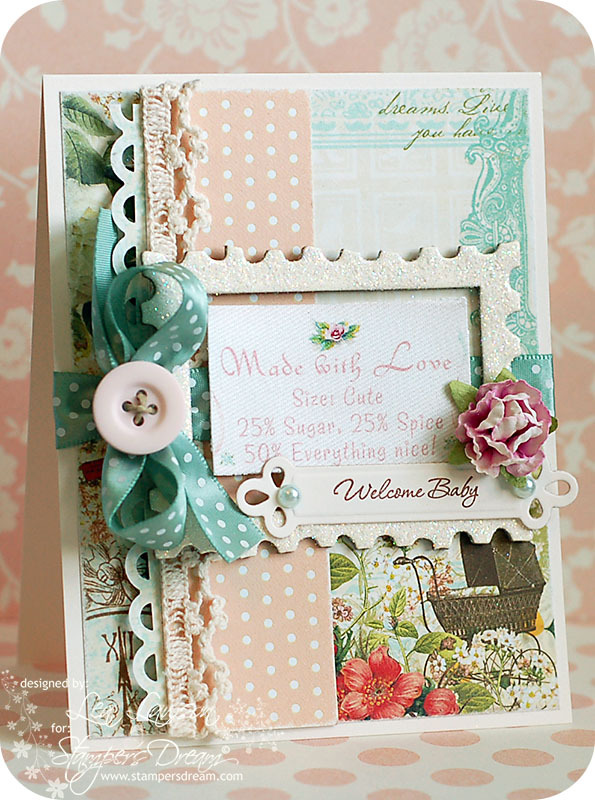 This stamp set is so whimsical and perfect for summer....you are just going to love it!! I used Clean & Simple's FTL #140 to help out with the card design. Here is what I created!! Instructions: Fold pink cardstock in half to make card base. Round the corners of a circus paper block, ink the edges and adhere to the front. Ink the edges of a cream cardstock block, and then stamp the Ferris wheel & sentiment to it. Adhere an orange scalloped paper frill strip to the top of the cream block, and then wrap pink twine around the seam twice. Adhere the entire stamped block to the middle of the card. 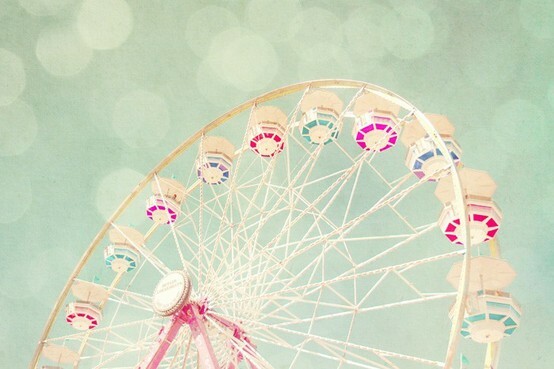 Accent the stamped Ferris wheel with pink pearls, and then add a twine bow to the center of it. Accent the middle of the twine bow with an orange paper flower to finish. If this stamp set isn't just the funnest thing...I don't know what is?! Tee hee! I know that I can't wait to see what the rest of the Lawn Fawn DT gals came up with, so be sure and check them out as well!! Happy Sunday, everyone!! This has got to be a quickie post- because I have a baby shower that I need to get to! But, I wanted to share this sweet baby card that I made for the shower before I leave!! This is one of my Stamper's Dream cards for the month. 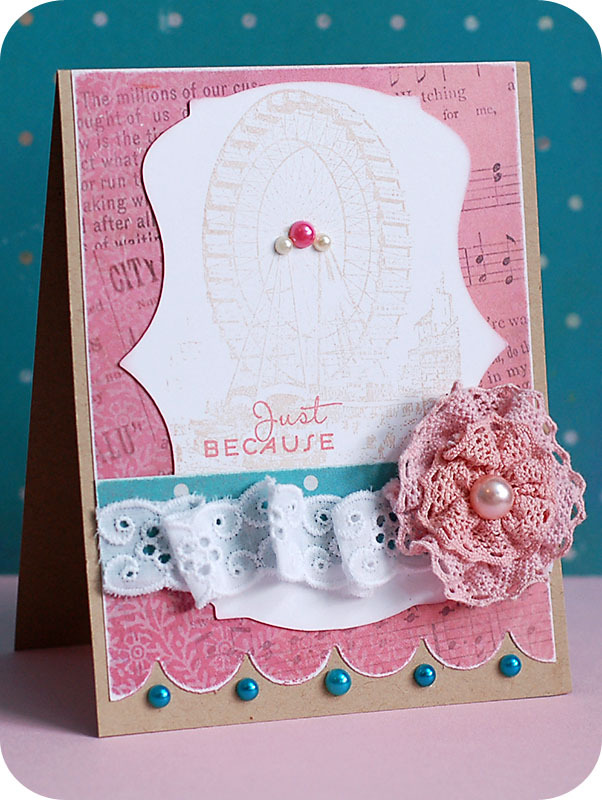 I used the Flourishes "Get Your Sketch On" release week challenge for this card to help with the design of it. 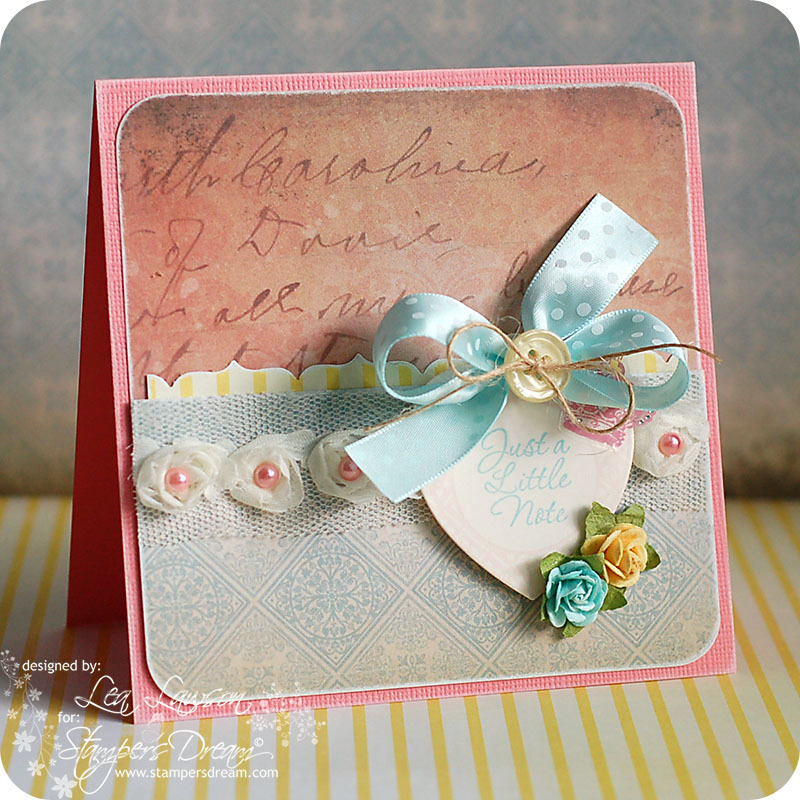 Isn't is such a sweet little baby card?! Instructions: Fold cream cardstock in half to make card base. Cut the background paper slightly smaller, sand the edges, and adhere to the front. Punch a border a blue paper strip, and sand the edges. Sand the edges of a pink dotted paper strip, and then adhere the scalloped strip to its left side. Wrap crocheted lace trim around the seam, and then adhere to the card front. 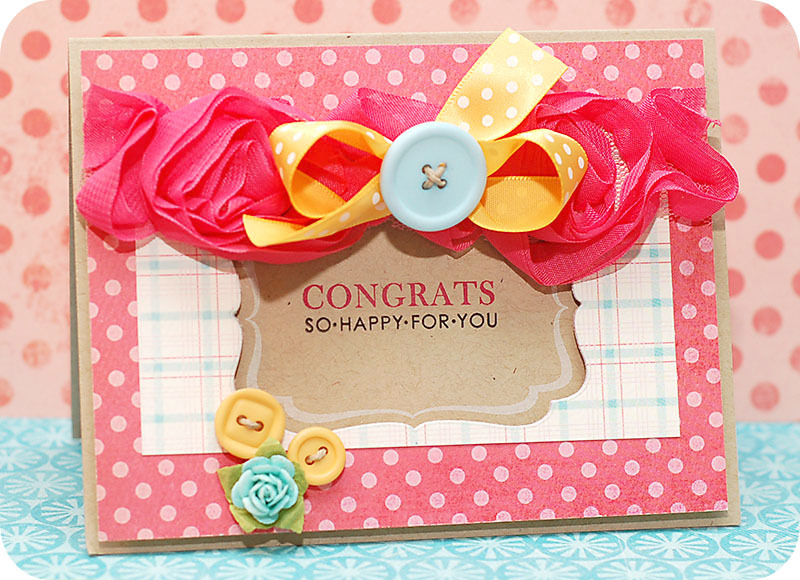 Tie ribbon around the middle of the card, and add a button to the bow using twine. Cover the chipboard frame in glitter, and adhere over top of the ribbon. Trim the fabric image, and adhere to the middle of the glittered frame. 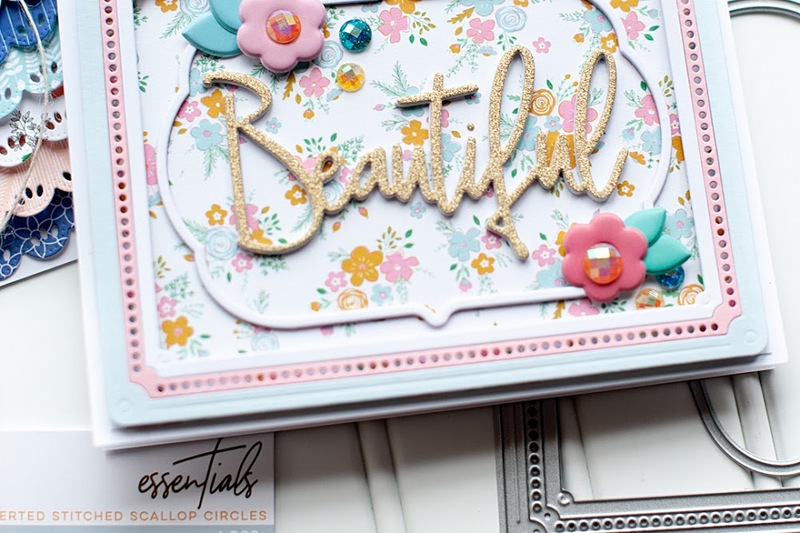 Stamp the sentiment to cream cardstock, diecut as a label, and then adhere to the frame corner. 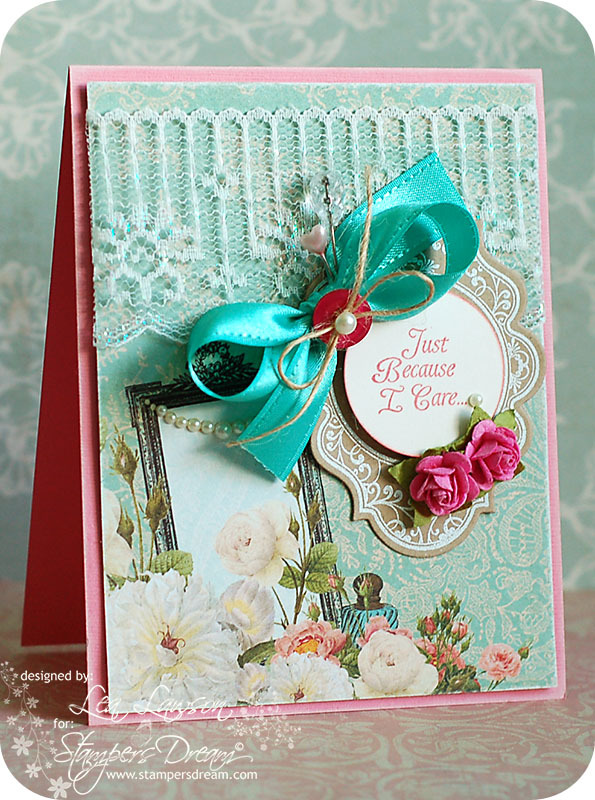 Accent the sentiment label with pearls, and then add a paper flower to finish. Hey there, everyone! Two posts on a Saturday...crazy huh! Well, my blog runs on Mountain time and this just kind-of happens when you have posts that need to run at midnight Eastern time. Tee hee! Aren't these super fun colors?! I love this one, and it was actually really fun to add the little bit of yellow into my card. It might seem a little intimidating, but I do suggest you try it out! You might just LOVE what you come up with! I used The Sweet Shop Sketch #108 to help out with the design, flipping it on its side so it would work for me. 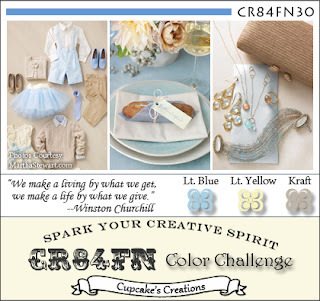 I also created it for CAS-ual Fridays Challenge #2 to use buttons & twine. This is an almost brand new CAS challenge blog, and it looks like it is going to be a lot of fun!! Here is what I created! Instructions: Fold kraft cardstock in half to make card base. Layer together the dotted & plaid paper blocks, then diecut the label from the center. Lay the piece on the card front, stamp the label outline so it fits inside the diecut window, and then stamp the sentiment in the middle of it. Adhere rose ribbon along the top of diecut window. Tie a bow from yellow ribbon, adhere a blue button to the middle using twine, and adhere to the middle of the rose ribbon. Adhere the entire block to the front of the card using foam adhesive. Thread two yellow buttons with twine, then adhere along with a blue flower in a cluster to the lower left corner. Make sure you check out what the other WPlus9 girl's have come up with! It is sure to be delightful!! Well, today I have a card to share with you for Stamper's Dream. It uses two different JustRite Stamper's sets...and older and a newer release. They go together perfectly, and I happen to just love mixing and matching JustRite stamps! Instructions: Fold kraft cardstock in half to make card base, and ink the edges with white ink. Cut a floral paper block slightly smaller, sand the edges and wrap ribbon around the middle of it. Adhere the entire block to the front and zig zag stitch along the edges. Tie a bow from matching ribbon, adhere to the right side, and add a large clear jewel to the middle of it. Add twine trim to the bottom of the ribbon, and as another set of "tails" to the bow. Stamp the label to kraft cardstock in versamark, and cover in white embossing powder. Heat set, and then stamp the sentiment to the middle. Diecut the stamped label, and then adhere to the card front, tucking the left side into the bow a bit. Cover the leaves in glitter, and then accent below the bow with flowers & leaves. In other fun news, I made the list of what "caught their eye" for Color Throwdown #140. That is pretty cool! 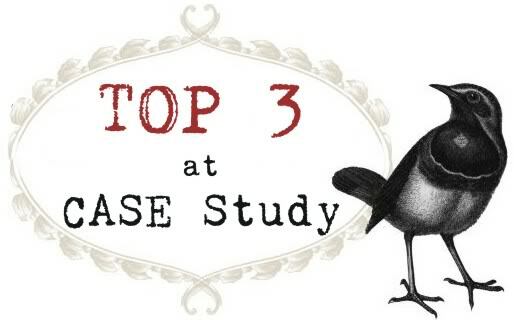 And, I was also in the Top 3 for CASE study #38. Yay! Hi everyone! I know...two posts in a row?!! I am finally getting back into the swing of things after being on vacation...I think I left my mojo on the mountainside!! But, when you have things you NEED to get done...you somehow force it to come back!! Tee hee! Instructions: Fold pink cardstock in half to make card base. Round the corners of a slightly smaller paper block, and adhere to the front. Round the corners of a white cardstock block, and adhere to the front. Apply the banner and ribbon rub-ons to the top of it. Stamp the hangers to front, then add the clothing rub-ons to them. Fold the ribbon, and adhere to the bottom of the white cardstock. Diecut & emboss the label, and then stamp the sentiment to it. Adhere to the top of the folded ribbon. Accent with two paper flowers and pearls to finish. Okay- so I wanted to chat with my blog readers, specifically about Blogger blogs. I had word verification on my blog forever, and thought I would never take it off. I didn't want to deal with having to delete constant spam, etc. Just not how I want to spend my time in a day. When Blogger introduced the Spam filter, I was still a bit cautious. But, recently I decided to try it out on a trial basis...and I am converted. I have turned word verification off completely, and Blogger does an awesome job of catching all of the spam comments!! I have never had one accidentally make it through. The plus side...it makes it so much easier to comment on my blog! I am not telling you to do it, but I would at least try if I were you. I just go in and check the spam filter about once a week, to make sure any real comments haven't been flagged as spam (hasn't happened once yet) and to delete all the spam out of the folder. I also have my blog set up where I have to approve all comments on posts 5 days or older...which I think also helps. Anyways...I just wanted to share my experience with my Blogger blog & word verification in hopes that it might help anyone else. I also have a card to share with you today! Mother's day is over, but May just seems like a great month to celebrate all the women in your life, doesn't it? So, I created this card for Stamper's Dream using some of the latest released stamps from JustRite Stampers. I just love this sentiment about sisters, and even though I don't have a biological sister- there are women in my life who take that place. Instructions: Fold cream cardstock in half to make card base. Cut background paper slightly smaller, sand the edges, and adhere to the front. Cut a scalloped strip from blue paper, and sand the edges. Cut a striped paper strip, sand the edges, and adhere the scallop to the bottom of it. Adhere the entire piece to the card front. Cut two pieces of bloomers and adhere to the right side of the card. Cover a chipboard butterfly in glitter, and then adhere over top of the bloomers. Tie a bow from blue dotted ribbon, and add a button to the middle using twine. Adhere to the top of the butterfly, and then accent with two heart stick pins. 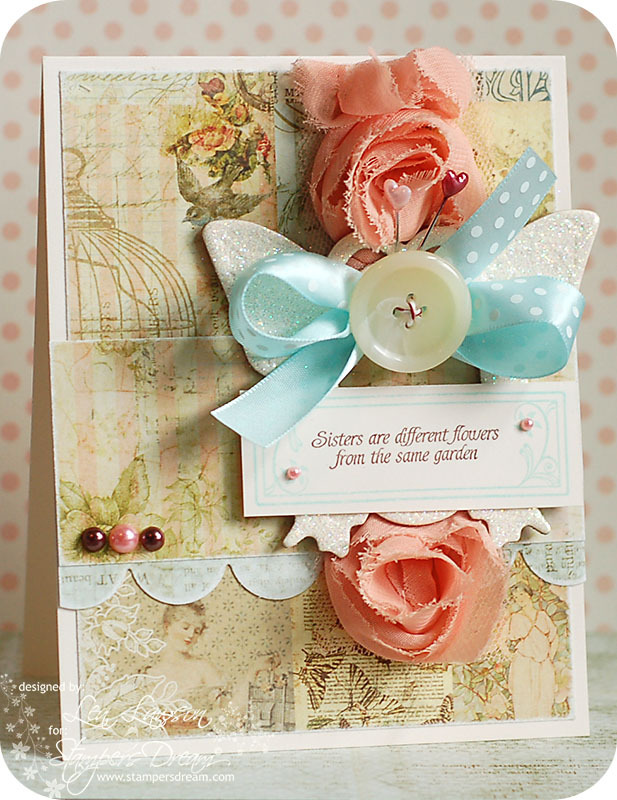 Stamp the label and sentiment to a cream cardstock block, and adhere to the bottom of the butterfly. Accent with pearls to finish. In other news, I recently found out that I was picked for the April "Fave Find" from My Favorite Things!! I thought that was very cool, and exciting! You can see the card they picked in my original post HERE, and here is my fun little badge of honor!! Happy Saturday, everyone!! I was asked to join the Wee Memories team for the month of May as their guest designer, and my first post starts today!! It is going to be a fun month!! Today the challenge is featured as a blog hop!! 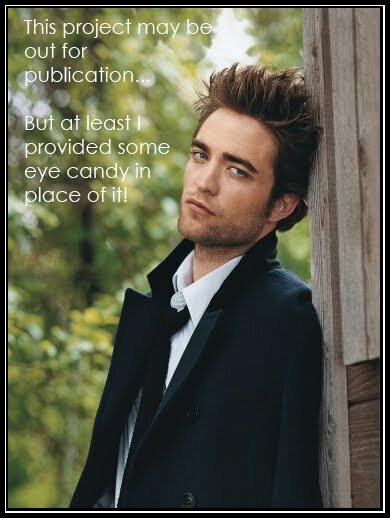 You should have arrived here from Sarah Martina Parker's blog, so if you did....you are right on course. If you just happened upon my blog, and didn't know about the blog hop...then head on over to Jenny Suchin's blog, which is where everything starts off!! The sponsor for this week at Wee Memories is The Greeting Farm, and you can check out the Wee Memories challenge post to see what the wonderful prize is!! The next step on your blog hop journey is to Anita Recksieder's blog, so be sure to keep hopping along! I know that I can't wait to see what everyone else has come up with! Hi everyone!! Well, I am home from vacation...and it has just been one of those weeks. But, I finally have something to share with you today! It is created for Stamper's Dream, and a couple of other challenges as well. First off....I used the OWH Sketch #67, and turned it into a square shape instead of a standard one. 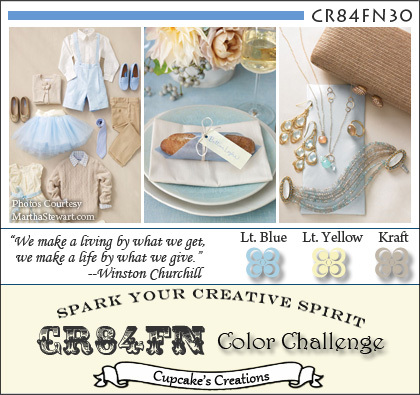 Then, I also used Embellish's Square Cards Color Trends challenge as well!! Here is what I created!